Another pretty quiet night at work means another chance to actually get out for dinner. I’ve been going to the Qdoba at 25 Michigan quite a bit. Not sure why. Just craving their tacos. I’ve been noticing a new Mexican joint popping up around town not really sure why there was all of a sudden a new chain moving in to the area. A quick Google search shows it’s not really a new chain, but an established chain branching out with a new concept. Donk’s Mexican Joint is being brought to you by the people who have been in business as Taco Boy for many years in the Grand Rapids area. They came to the realization that people only think of tacos when they think of Taco Boy and they wanted to showcase the other items on their menu, including the burritos, so a name change was in order. 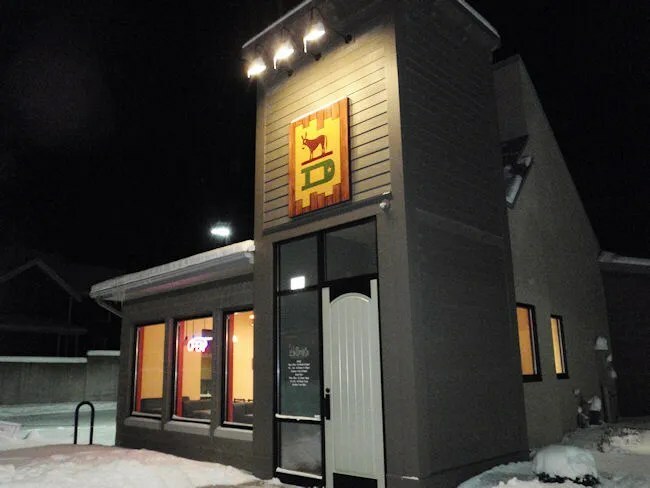 The newest addition to the Taco Boy stable is the Donk’s Mexican Joint on Michigan Avenue Northeast across the street from Grand Coney. The building, like the Taco Boy in Plainwell that is also now a Donk’s, used to be a Hot ‘n Now. The building has undergone an extensive renovation to make it fit the new theme of a Mexican place. 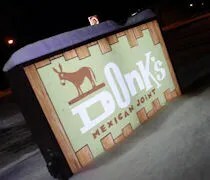 The menu at Donk’s isn’t much different from the Taco Boy menu. I’m not really sure what the deal is, but I seem to have been reading a lot of bad comments about Taco Boy’s recently. The Plainwell location got hammered on Urbanspoon when they first opened and I never really got why. I’ve always liked Taco Boy’s tacos. There’s nothing fancy about them, but they are really filling. On this trip to Donk’s, I didn’t stray from my typical order. I ordered two beef tacos and two spicy pork tacos. I also got a small order of chips and queso. The kitchen wasn’t busy when I was there, so my tacos were bagged up pretty quickly after I ordered. The cost was a little under nine bucks without a drink. I had never tried the spicy pork tacos, so I was a little happy when I got back to the office and pulled them out first. I always go with hard shell tacos from Taco Boy so that’s what I stuck with at Donk’s. 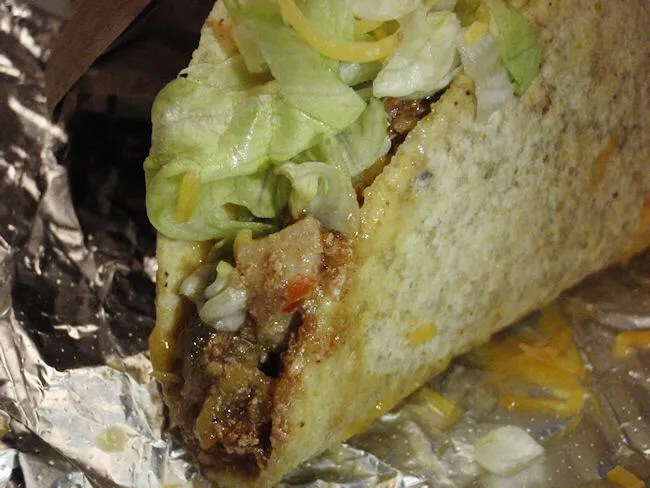 The tacos are pretty standard and what you would expect if you were ordering a taco at one of the national chains, but there is a lot more meat in Donk’s tacos. The spicy pork is finely shredded pork mixed with some peppers and topped with lettuce and cheddar cheese. They were quite tasty and just a little bit spicy. The two beef tacos were next. 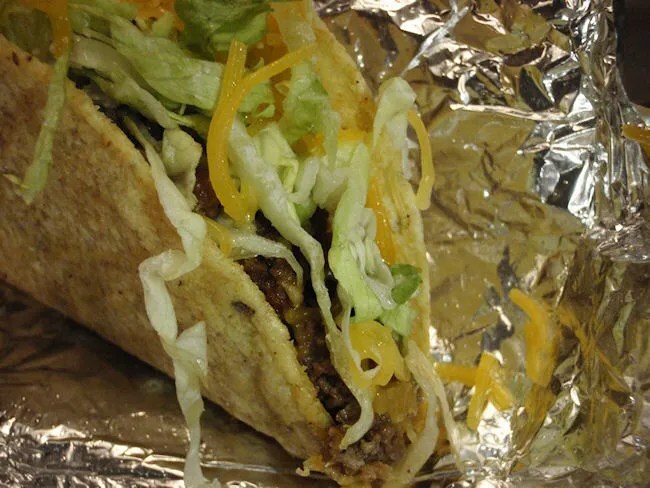 Again, a very tasty, filling version of the Americanized taco. This is what I have always gotten at Taco Boy and what I will get from Donk’s now on. The chips and queso were the only disappointing part of the meal. I had stadium flashbacks with the first bite. 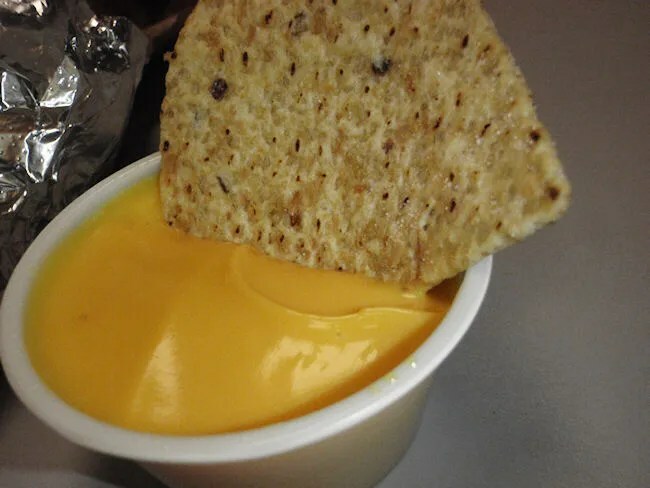 The cheese tasted like the nacho cheese you get at ball games. I saw the cook use a pump just like you would see at a stadium to fill the little cup, so I didn’t have high hopes. It was good…baseball game good…but I was hoping for something home made. Just like I’ve always said about Taco Boy, I like Donk’s. This location is pretty close to work and it has a nice big parking lot unlike the Taco Boy downtown. Taco Boy is no Taqueria San Jose, but they’re not trying to be. Their competition down the street and when it comes down to it, I’d pick Taco Boy over Taco Bell any day. because of it! I asked those working about it and was told others had concerns too, but it hasn’t changed one bit! And then they mess up my order and tell me I need to waste my time and gas to bring it back! Don’t worry! I won’t be back EVER! Ya know the sad part is when I was younger, I hung out at the Plainfield store when it was Taco Boy and loved your Super Burrito’s and have spent a lot of money there and on Alpine, but it seems the new company has ONLY gotten worse NOT BETTER! Should have stayed with Taco Boy! It may be nearby, but worth the drive to El Sombrarro and Adobe! ALL the marketing in the world can’t take the place of a great burrito! You really messed up!